Delta Airlines is the leading airline across the Atlantic and the world`s second-largest airline in terms of passengers carried. Offering daily flights to 492 destinations in 89 countries on Delta, Song, Delta Shuttle, Delta Connection and Delta`s worldwide partners. 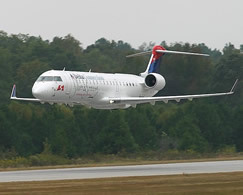 From the UK, Delta offers daily flights from London Gatwick to Atlanta and Cincinnati and from Manchester to Atlanta with fast and convenient connections onward to over 200 US destinations including over 14 airports in Florida alone. Welcome to Delta BusinessElite, one of the world`s best intercontinental business class products in the sky. Experience the difference of added space and amenities on your next flight. The spacious seat design provides you with maximum space for productivity and relaxation. From five-course meals to the award-winning Vinum wine collection, you can indulge your taste in world-class dining. With priority check-in, access to BusinessElite lounges, and priority boarding, you`ll experience an added level of personal service. Time between flights? The BusinessElite Lounge offers a quiet place to work or relax. You`ll find a business center, a staffed bar with complimentary drinks, local telephone service, newspaper and magazines and television. During peak travel times, travelers enjoy complimentary appetizers. BusinessElite passengers are welcome at the lounges in Atlanta, Cincinnati and at New York-JFK. To have access to the BusinessElite Lounges, customers must be traveling on a same day international BusinessElite flight. Delta`s 777 aircraft offer seat back interactive entertainment systems and reservable seats and frequent-flyer mileage accrual on all fares. It operates service to more worldwide destinations than any airline - 311 destinations in 52 countries. 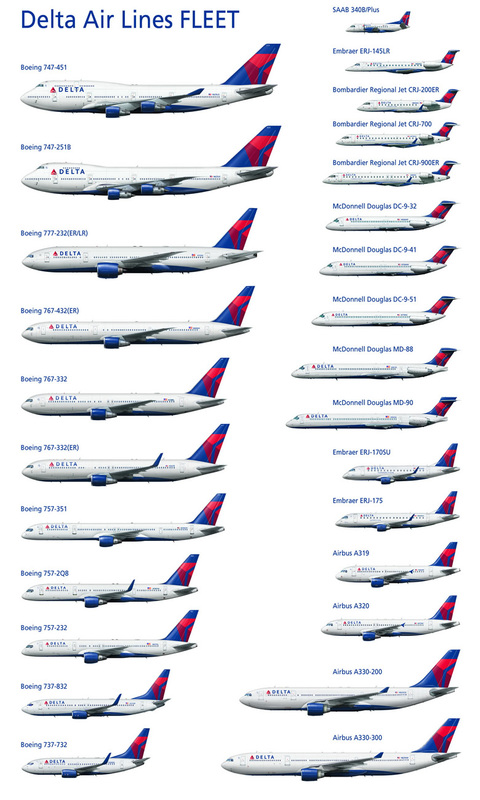 But when it comes to technology, Delta Air Lines offers a mixed bag. Delta Air Lines Video: Older aircraft have overhead screens. Seatback video screens are found on former Song aircraft (the shortlived Delta boutique carrier). More than 100 Delta aircraft use Delta On Demand, with HBO movies, TV series, and specials, as well as network shows and access to more than 20 satellite networks. 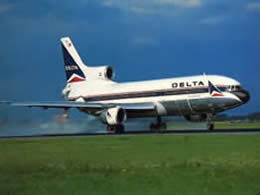 Delta Air Lines Music: Delta On Demand offers 1,600-plus MP3s; 16 audio stations. Delta Air Lines Games: Nearly a dozen, including Insaniquarium. Delta Air Lines Power: Delta has installed the EmPower system on all classes of service on 777, 737-800, and 767-400 aircraft. You'll need an adapter to plug in, one that's compatible with the EmPower system and your notebook. Delta offers more entertainment choices than other major carriers but they're not fleet-wide yet.